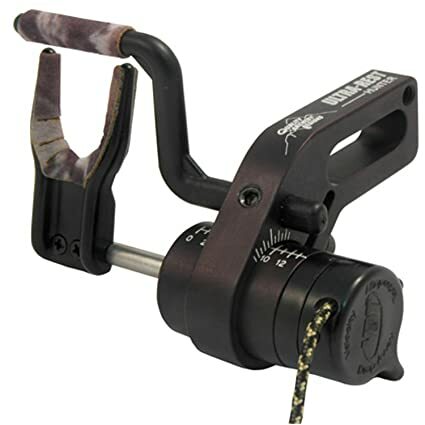 →What Is The Best Drop Away Arrow Rest On The Market? What Is The Best Drop Away Arrow Rest On The Market? 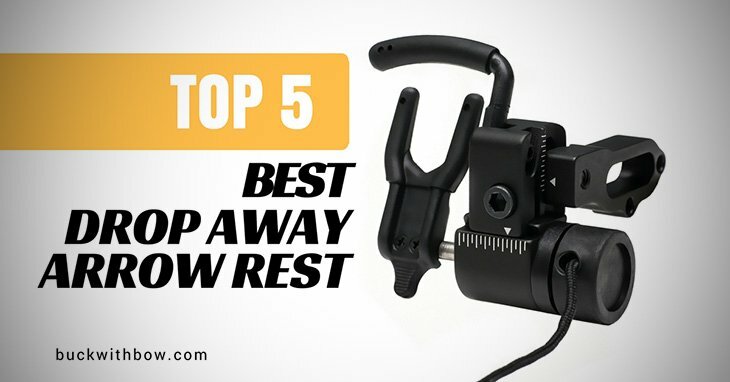 Are you looking for the best drop away arrow rest? If yes, you’ve made a wiser decision that will bring significant changes in your hunting game, given that this is a Must-Have gear for any serious bowhunter out there. Unlike the traditional models that are quite problematic, these new arrow rests are fully committed to stabilizing your arrow until the minute you release them from the string - resulting in more perfect, precise shots! There are multiple drop away arrow sets available on the market today. And we’ve picked the FIVE Best-Performing models to make the selection process less challenging for you. You’d want to invest in a drop away rest that you can successfully install and set up on your own. Therefore, whenever you’re shopping the best model out there, be sure to check how easy it is to install and use. Otherwise, it will end up making you feel helpless and frustrated in the woods. As a side note, ensure that rest stays loaded and locked until you unlock it. Otherwise, it might result in dangerous threats to you and those around you. The pricing factor is always a major consideration when it comes to picking the best product. Drop away arrow rests come in a wide price range - from real cheap ones to the extremely expensive models. As a matter of fact, some of these models are highly priced that they’ll require you to fork out lots of money from your wallet. But such products have the best quality and will never disappoint you. What if you’re beginning to use this gear? Well, you might want to consider a cheap basic model that will help you learn the tips and tricks of the drop arrow rest. In that case, the market has a bunch of pocket-friendly models to help you test out your arrow rest skills. All in all, the price of the product you wish to buy boils down to your experience, personal preference, and budget. Most bowhunters make the mistake of buying a drop away rest and assuming that it will work perfectly ok with just any bow. But as the expert bowhunters will tell you, this is not the case. 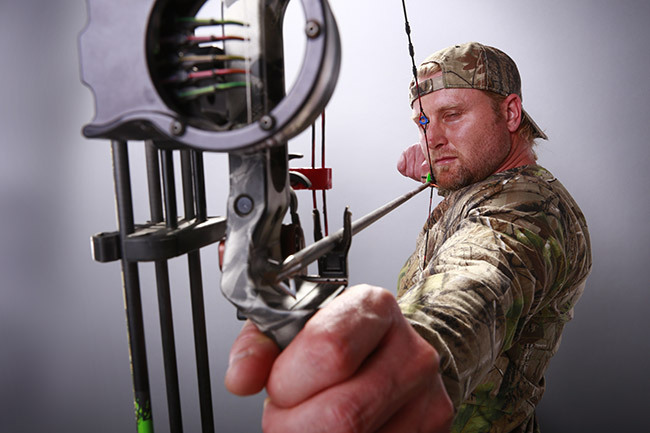 If you’re an avid bowhunters who owns a good number of bows, you’re likely to encounter challenges trying to sort out the bows that will fit the bow and ones that can’t. Therefore, I’ll advise you always to ensure that your bow can be easily and quickly mounted on the rest. The secret to making your arrow rest serve you for an extended period of time lies in its quality. Keeping in mind that you’ll be using your arrow rest outdoors, I’d suggest that you ensure the product you buy is highly durable and can withstand the rough and tough outdoor weathers and situations. At best, consider the rests constructed from stainless steel - with less plastic - as it has greater endurance and strength capabilities, plus it doesn’t rust easily. This is a no-brainer - you’d expect the product you buy to work as the manufacturer claims. As such, I strongly advise you to take time to do proper research before buying any drop away rest. 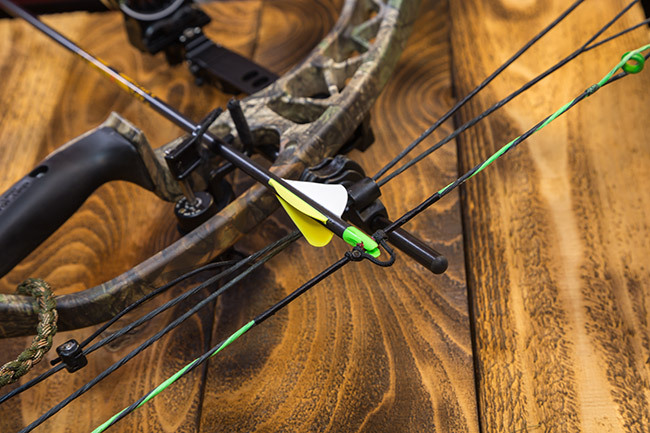 The best-performing arrow rest should be able to drop out of the way and eliminate any fletching clearance concerns. At full draw, it should be able to hold your arrow in position firmly and move completely out of the arrow path the moment you fire your arrow. This makes it convenient, even for the largest helical fletching to easily bypass the arrow shelf without doing the slightest contact. Above all, ensure that your arrow rest performance is up to the standard and will serve you longer. As much as you’d want to remain covered in your stand, you should make sure that the arrow rest you buy has disguised patterns. And this pattern should match your bow camo or blend perfectly well with the surrounding environment. If you’re looking for the best drop away arrow rest for the money, this is it. The Ultra W-QURH Rest Quad Hunter, Right - manufactured by the highly reputable Quality Archery Designs - comes with an incredibly robust build quality. Not forgetting the fully camouflaged covering that blends perfectly well with all your hunting environments. So, you’ll hunt confidently and assured that no animal would detect your stand. One thing I like about this particular drop away arrow rest is the total arrow containment system that makes you keep a low profile. This is beneficial in situations where you want to eye a quarry animal that’s small or a bit far from your stand. Though it features an incredibly thin guard, it’s robust enough to take a couple of dings while on trial. Because this rest keeps your arrow locked - even on low letdowns - and only drops away when you fire the arrow, your safety and those around you if fully guaranteed. The laser cut felt, and the rubber bumps team up to offer you an ultra-quiet operation while using this equipment. Don’t forget that you can easily tune it to shooter shorter arrows - as short as 4 inches - unlike its competitors. The Quality Archery Products HDX Arrow Rest fits the needs and expectations of every archer who wants a top-of-the-line drop away arrow rest model with all the HD features to enhance your shooting game. With its sleek design and flexibility with many modern bows, this rest will never disappoint you. Many are the arrow rests that works with particular bows. But this is not the case with this particular model, thanks to its sleek curved capture that bar that allows you to use with a broad range of bows. Featuring the Advanced Vibration Technology, Lock Down Technology and Velocity Drop Away Technology, this gear smoothly turns a peak vibration amplitude into a minimum. And the extremely durable rubber molds ensures quieter operation. The arrow rest is constructed using stainless steel which enables it to allow it to withstand almost the roughest, toughest outdoor situations and resist corrosions. This makes it the right model for long-term use. You’ll also love how easy and quick it is to adjust the timing cord to a proper length - even after you clamp it to the buss cable! 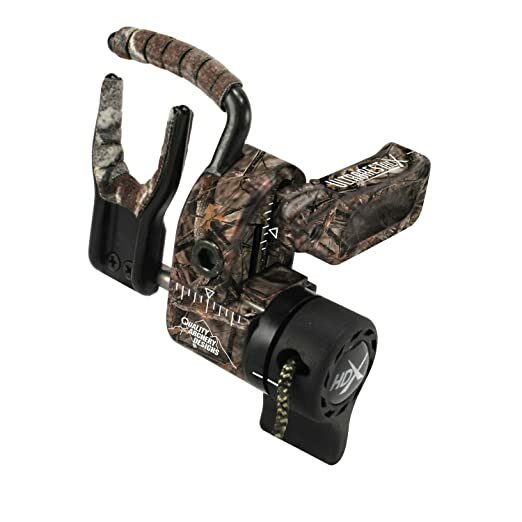 Also from Quality Archery Designs, the Ultra-Rest HDX (Mossy Oak, Right Hand) is another top-rated arrow rest committed to giving you greater hunting accuracy. 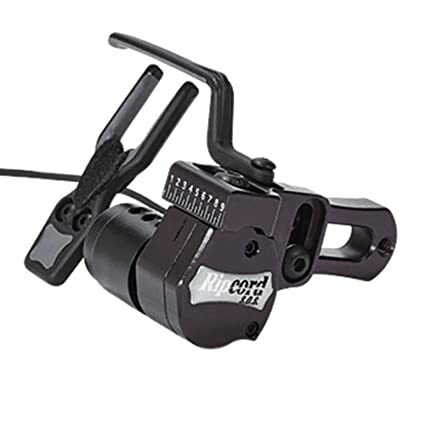 It’s an incredibly easy to use device, where it lets you adjust the timing cord easily using Cord Lock or Clamp. The sleek, curved capture bar translates to more versatility. With the included installation DVD with crystal-clear an easy to follow instructions, you’ll have an easy time installing the rest ion your bow. The construction of this gear gives quality a new meaning; made from precision CNC aluminum, Delrin, and stainless steel components, this rest will stick around for many hunting seasons with less or no tear and wear cases. I like how this particular model holds your arrow. 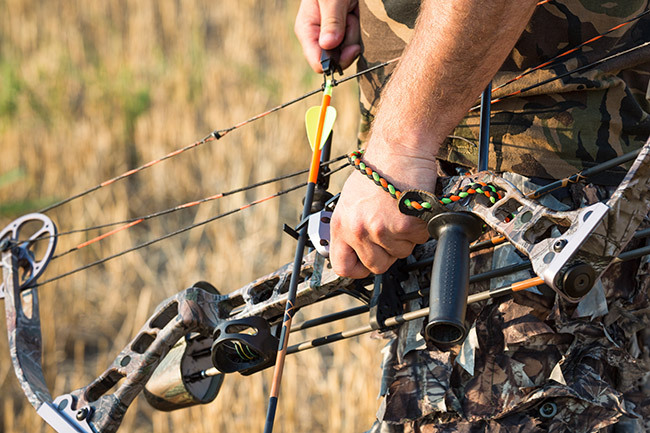 The total arrow containment system ensures that no matter how you turn the bow, the arrow will never fall out. And when you properly align it, it gives you full fletching clearance. The slow release feature takes its performance a notch higher. The fact that setting an arrow in for this rest is as a breeze means you’ll be able to make quick loads and ready yourself for a smooth action. To top it all, the rest ensure you enjoy a quieter operation by incorporating noise reducing laser cut felt as well as rubber dampeners that silence all the noises. The Ripcord Fall Away Arrow Rest will take you from bow to bow in all your years as a bowhunter. It comes with just the right quality and performance you need in a drop away arrow rest to make your hunting trips more fun and productive. 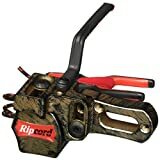 One of the most exciting thing I noted about this Ripcord model is how it lets you manually lock it into position. Furthermore, it instantly disengages at full draw which gives you a complete arrow clearance. I also fancy the product’s easy and quick installation process. You don’t require any bow press to successfully attach your cord clip to the bow cable. Just follow the included, easy to follow instructions and you’ll be ready to go. The internal dampeners ensure a quieter shot when you release it, which raises the success chances of your hunting mission. 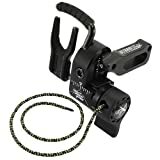 Since the arrow is fully adjustable - with calibrated horizontal and vertical adjustments - you’ll be able to easily and quickly tune it while in the woods. Available in left - and right-hand options, all hunters can enjoy the shooting benefits offered by this drop away arrow set. 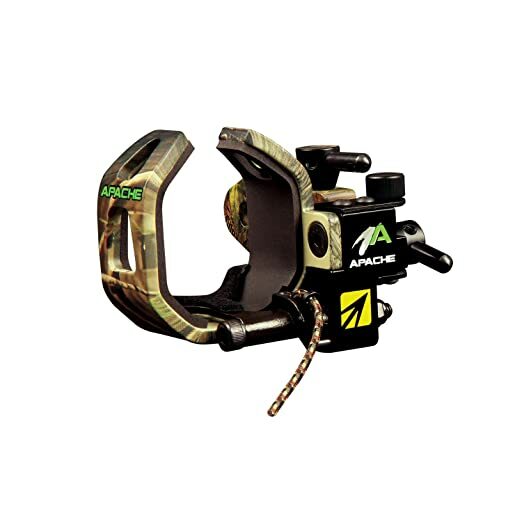 The New Archery Apache Drop Away Arrow Rest is made of quality and will give you the excellent performance you wish for in all your hunting missions. First things first: it features an all-around rugged metal construction. This means that it can withstand all weather conditions - including rain and shine. When it comes to the performance, this drop away arrow rest never disappoints. It presents you with a super quick operation. This teams up with the 360 degrees sound dampening which let you enjoy a comfortable, whisper silence operation - a huge plus for your hunting success. You don’t need any wrench or tool to make adjustments to this gear. With the laser graduations, fine tuning the arrow rest in the fields is much easier than you can imagine. We have come to the end of our best drop away arrow rests. So, which of these five models stands among the rest? If I had to recommend that one drop away arrow rest that will give you a spectacular performance and add fun to your bowhunting activities, then it must be the Quality Archery Designs Ultra-Rest HDX, Mossy Oak, Right Hand. Apparently, this product has unbeatable performance right from the word go. It’s incredibly easy to install and tune (thanks to the setup DVD); features total arrow containment system that keeps your arrow from falling out until you fire it; easy to set in an arrow in this device for quick loads; Complete fletching clearance and slow release features translates to greater hunting accuracy. Best part: it features ultra-durable construction that comprises precision CNC aluminum, Delrin, and stainless parts. So, it will serve you for uncountable hunting seasons.